I really need to branch out from salmon. 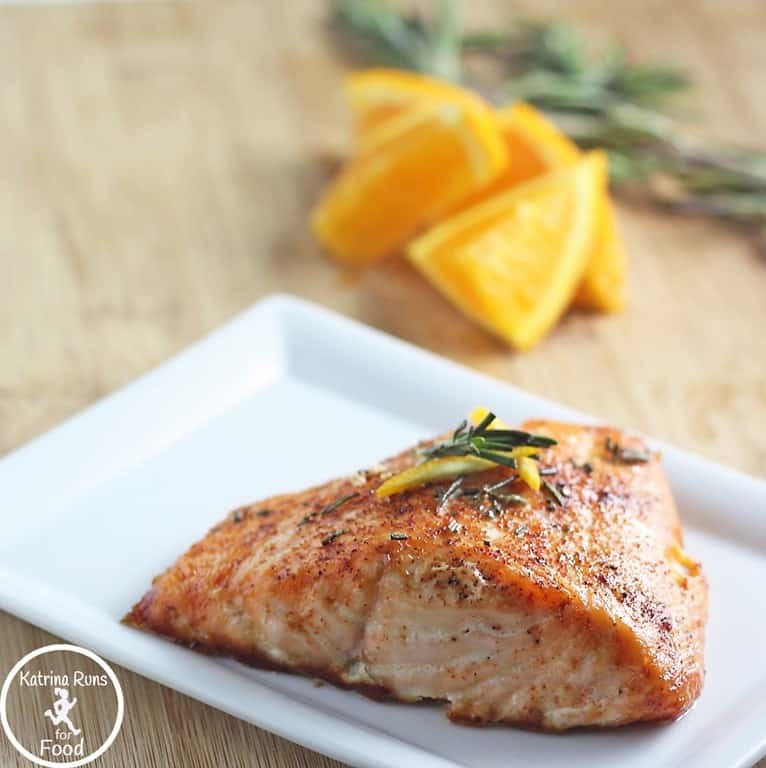 But Cooking Light has so many fresh new ways to prepare salmon and I try to enjoy it at least once a week. This week, I’m using orange and rosemary. I’ve never used these two together so I was looking forward to the flavor combination. Perhaps my favorite combination is teriyaki maple (gluten free teriyaki, of course). I also love chipotle maple. See a pattern? I like the sweet/heat or sweet/savory combinations the best. And now I have a new one with orange rosemary. This was so simple to prepare! Add fillets; cook 2 minutes on each side or until fish flakes easily when tested with a fork or until desired degree of doneness. Remove from pan. Recoat pan with cooking spray. Add shallots; sauté 30 seconds. Stir in rosemary; cook 30 seconds. Add juice and syrup; bring to a boil, and cook 1 minute. Return fillets to pan; cook 1 minute on each side or until thoroughly heated. Looks awesome – I love just about anything with rosemary!! Pinned it to try soon (although we might try it on the grill). Great! I hope you enjoy it. Now that we have grilling season back in action, I need to try grilling salmon. My first attempt was a huge fail.